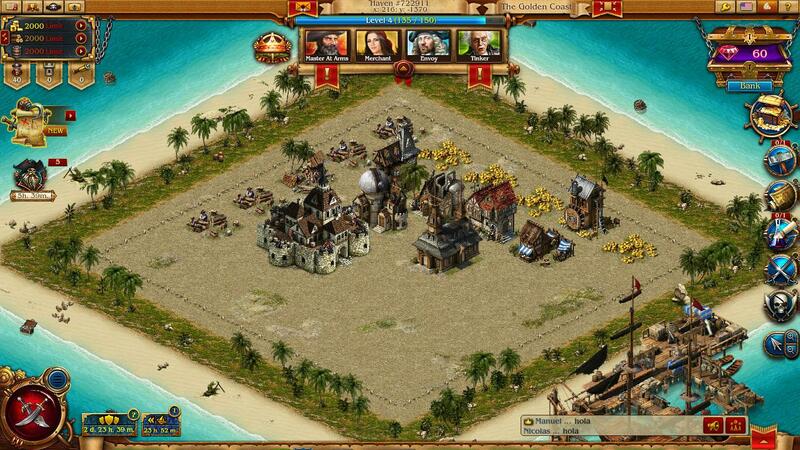 Build your own pirate island from which you will launch your plundering missions against your enemies. 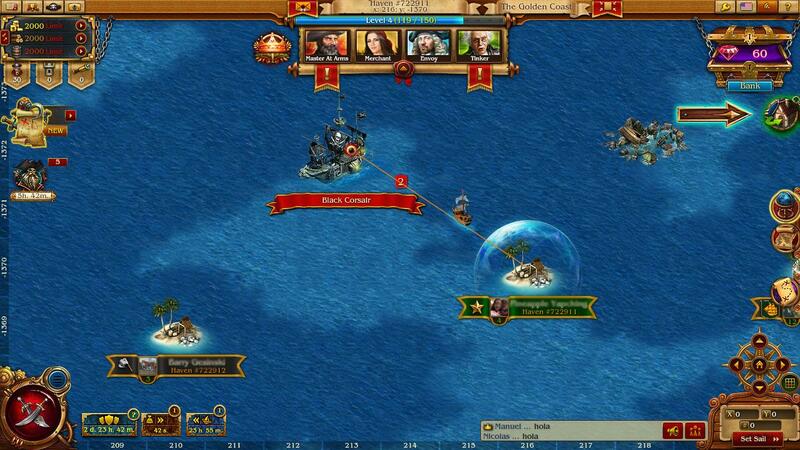 Defend your island from your enemies by fortifying it and recruiting other pirates to your fleet. Do you have what it takes to be the most notorious pirates roaming the seas? There’s a lot of romance attached to the life of being a pirate. Indeed, history books as well as fictional movies describe the escapades of these scalawags as full of adventures, women and, of course, lots and lots of gold! Of course, piracy nowadays is a punishable crime. However, those who’d like to experience, at least virtually, the life of a pirate can now turn to video games. One of those excellent games to play that covers this period in time is Pirates: Tides of Fortune. This one is a browser-based game that you can also play on Facebook, so there definitely is no need to install anything. Once you click on “Play Now,” the game will load on its own and you’re good to go. You can even play it in other computers because all you need to do is log in to your Facebook account. While it is a real-time strategy Facebook game, Pirates: Tides of Fortune focuses more on fortifying and building structures on your island, which is referred to as a Haven. For example, in order to recruit pirates to your fleet, you’ll have to build a Tavern. The Brethren Court will allow you to contact other pirates in the server, and build alliances with them. To view the status of your forces, you’ll need to have a Pirate Stronghold in your Haven. You’d also have to generate your resources, including gold and wood, both of which are needed to build other structures and feed the pirates in your fleet. You can generate wood by building numerous Sawmills in your island. On the other hand, the Gold Mine brings you the gold that you need. You can also build a Rum Distillery to produce Rum for your pirates. Constructing buildings and recruiting pirates to your fleet consumes a certain amount of time. You can boost this up using boosters, which accelerate the process by 1 minute or 3 minutes, depending on the booster you have. You can also use rubies to instantly finish the process, and save time. Rubies are special currencies, and are gained when you finish quests or when you level up. 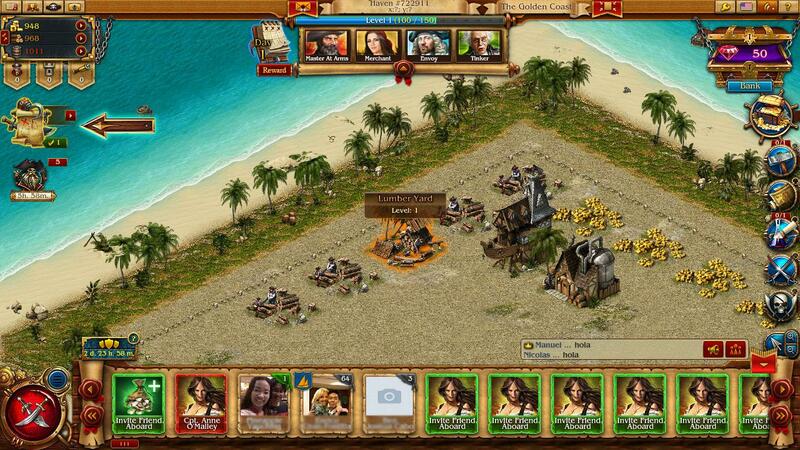 To acquire other resources, you’ll have to pillage or plunder other islands. It can either be computer-controlled islands (Player vs Environment) or other non-allied pirates, which is considered as the game’s Player versus Player component. You’ll have to be at Level 5 to unlock Player versus Player, so you’ll have to contend with raiding computer-controlled islands before you can start attacking other players. To attack islands, you simply have to click on them, and look for the crossed cutlass symbol. Click on that one, order your battle lines, and send your fleet along the way. The missions will proceed on their own, and you can go back to managing your haven: a feature that’s a hallmark of all Plarium browser RPGs. After the attack has concluded, the fleet returns home. You’ll get a message on your inbox informing you of the results of the operation. There are plenty of reasons why you should give Pirates: Tides of Fortune a try. The only way to know what those ways are, of course, is to give the game a try now. It’s free!